2015 Jeep Renegade Trail Hawk 4x4.......We have here a super nice Renegade Trail Hawk 4x4, that is in very nice condition, both inside, and out. It will make a great everyday driver, or even works perfect for the pull behind vehicle, while traveling in the RV around the country. It is a perfect gas saver, and is loaded, along with the dual removable skyroofs, and is priced to sell. So please stop on by and take a test drive in this beauty, as you will love it. 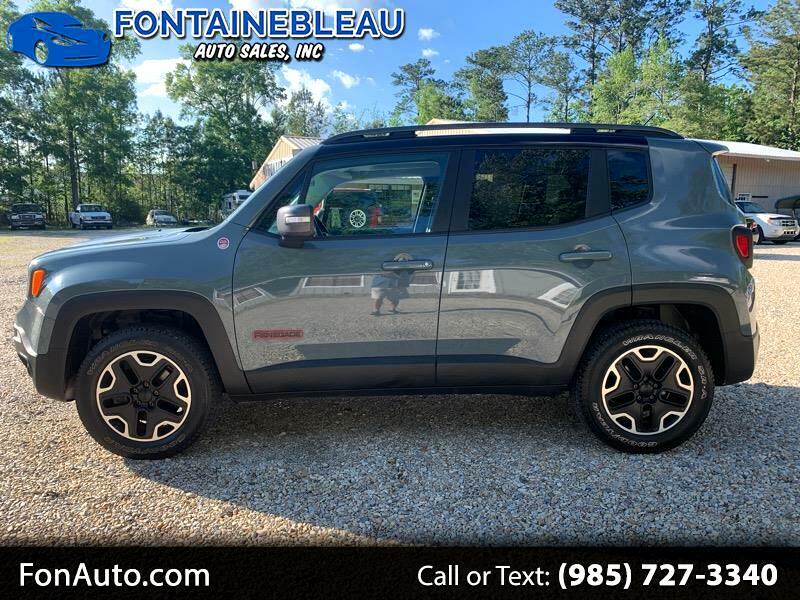 Visit Fontainebleau Auto Sales Inc. online at www.fonauto.com to see more pictures of this vehicle or call us at 985-727-3352 today to schedule your test drive.